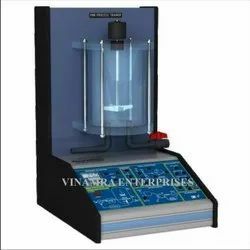 We are a leading Manufacturer of control system lab trainer kit, relay control trainer kit and mini process control demonstrator from Jaipur, India. Control System Lab explores students & industry professional to the fundamentals of Control System. It demonstrates, how one device can be used to manage, command, direct or regulate the behavior of other system. Sequential Control, Linear Control is also well explained in the trainer. 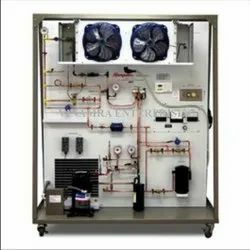 Control System Lab has sensors like Temperature sensor, Light sensor, DC motor, Filament lamps, IR sensor and many more which can be used for the study of Control system. There is a wide range of experiments which can be performed on the trainer. Application software for Interfacing with PC increases range of experiments. It is a unique Trainer which controls 8 electromechanical relays using parallel-port of Personal Computer. The hardware kit plugs in directly to the parallel port of the computer. It carries 8 relays. Each relay is switched on or off by output data (8 bits) sent by parallel port of the computer. The software provides a graphical user interface to control relay operations, their control sequences With LED indication and simulations.